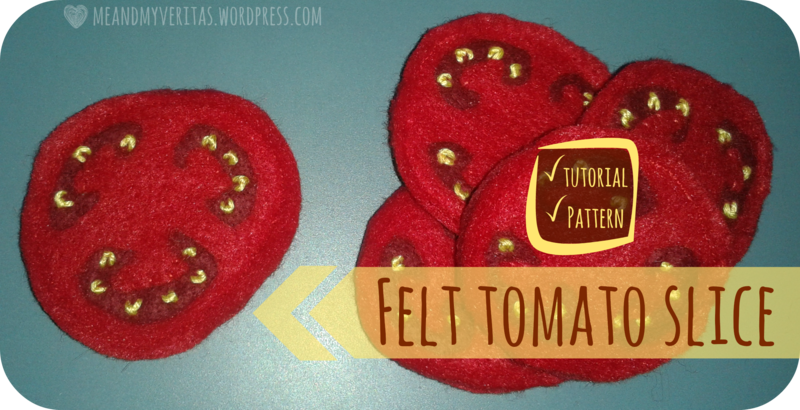 We are going to make yummy tomato slices from felt today. Tomato slices complete the ingredients list we need to make a (fat-free) felt sandwich. You can find tutorials for the other ingredients here: sliced cheese, Mortadella and Pimiento Loaf sausage slices, salad leaves, and sandwich bread. 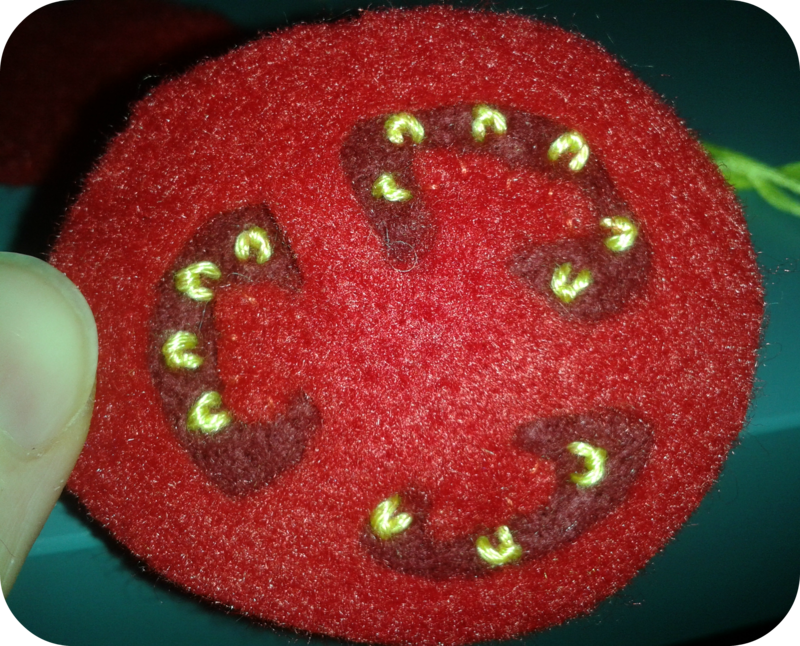 Credit goes to Katherine from one inch world who back in 2009 published her beautiful needle felted tomato slices. 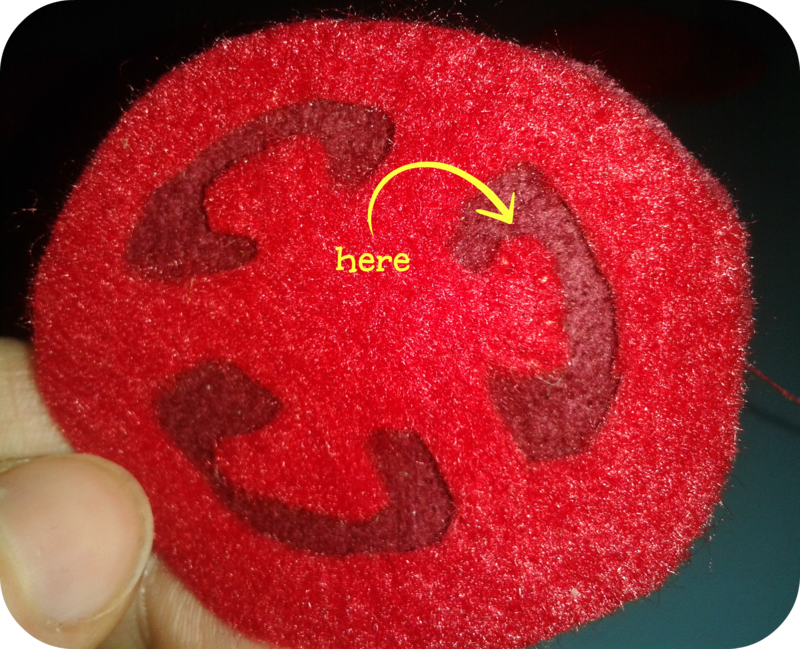 The felt tomato slice tutorial involves some hand and some machine sewing (of course, you can do everything by hand as well). The tutorial comes in 10 steps, and 2 slices of tomato can be done in about four to five 15-minute crafting sessions. 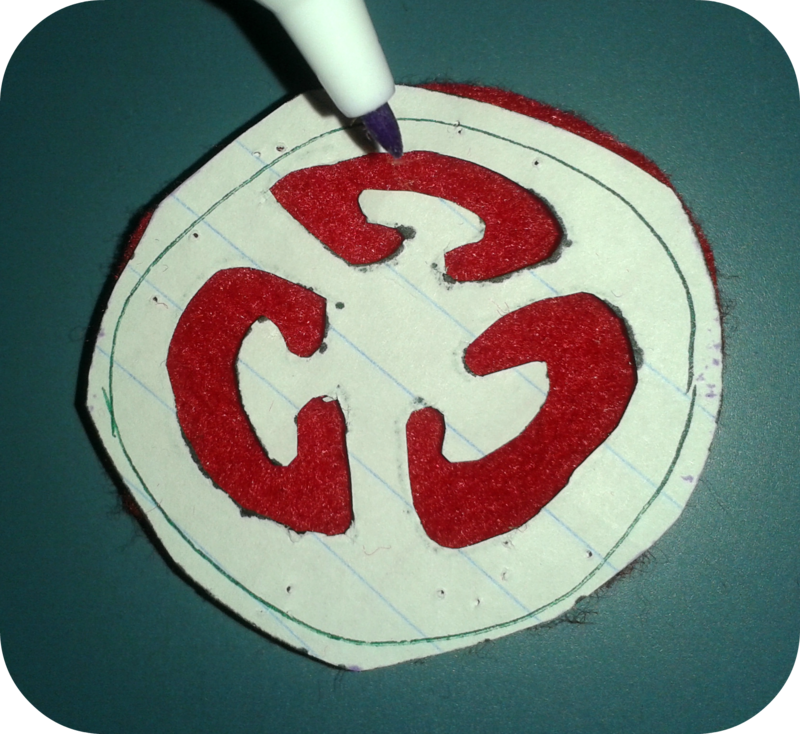 STEP 2: Print and cut the pattern (see above) or create a pattern you like more. 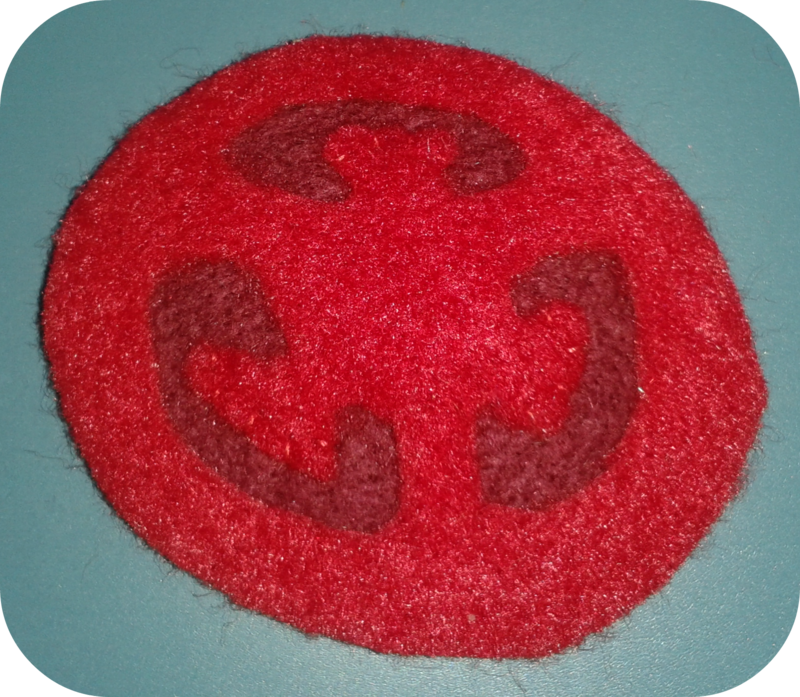 If you are using my pattern, the felted tomato slices will perfectly fit onto the sandwich bread I made earlier. Keep the sizes in mind when making your very own patterns. 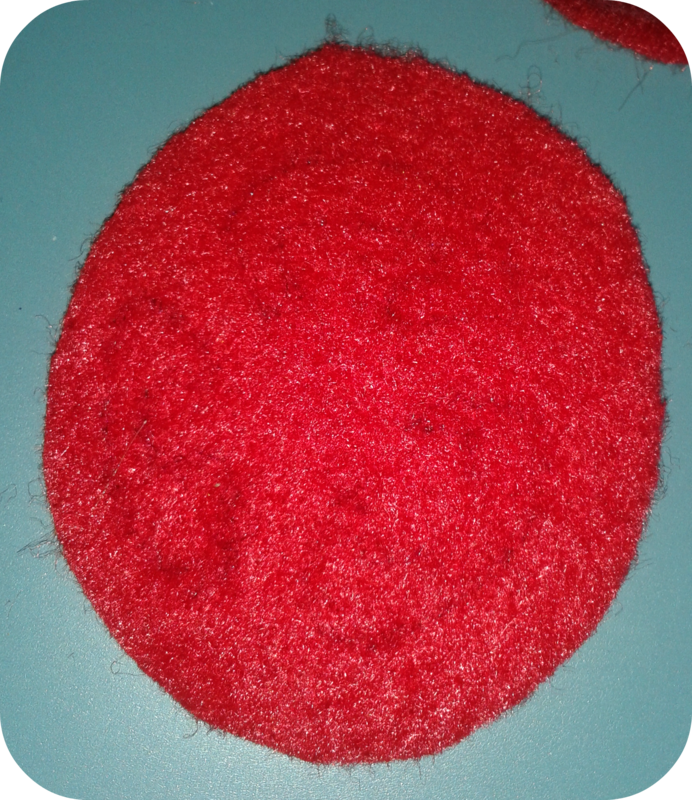 STEP 3: Place the tomato slice patterns (back and front) on top of the red felt and trace their basic shapes using a magic marker (barely to be soon on the pictures below) or colored tailor’s chalk. 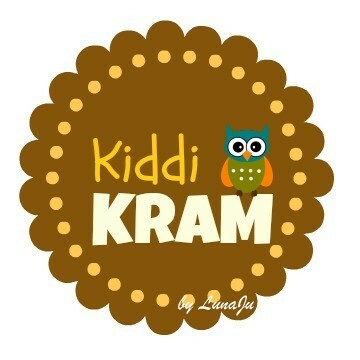 If you are using chalk, I recommend white one, because it gives a nice contrast. Remove the patterns. 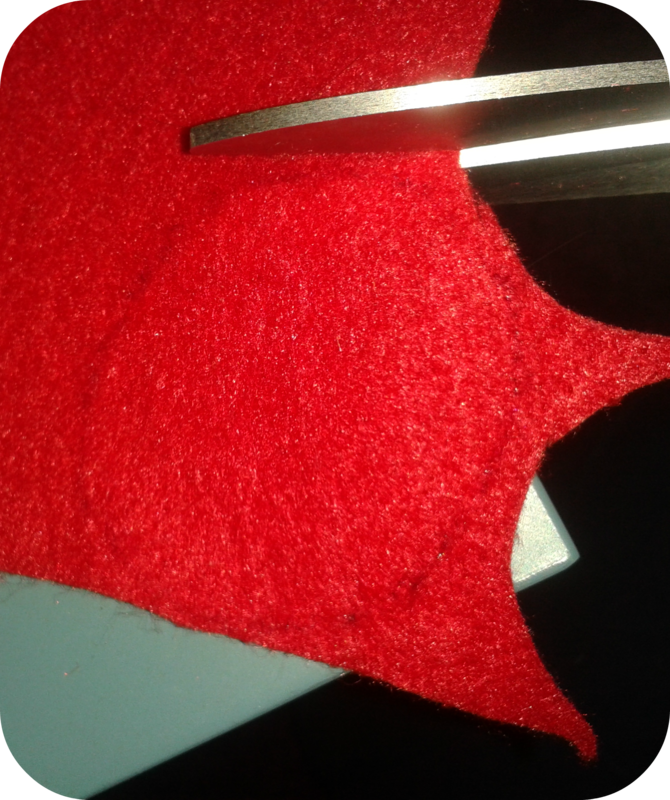 STEP 4: Cut along the markings by using standard scissors. You will end up with two blank pieces: the back being slightly bigger than the front. The careful reader (and I know you are one) will have noticed already that my red pieces are of equal size. 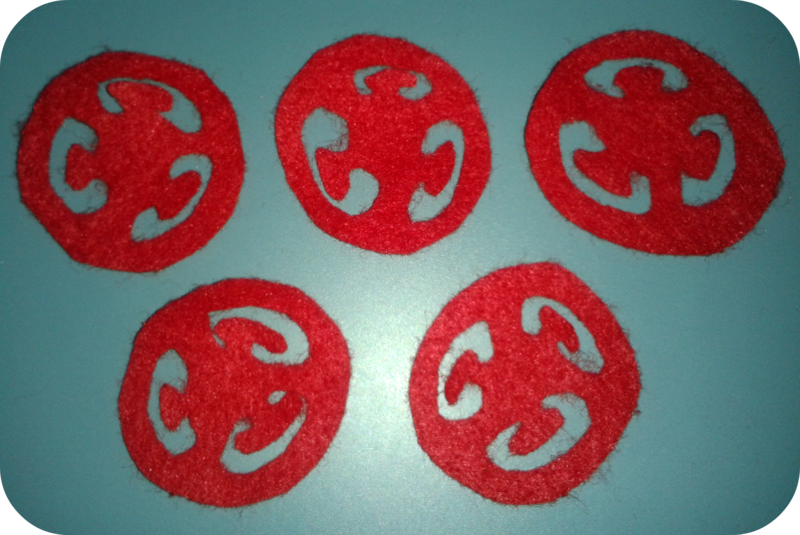 I had to sew five tomato slices for the Winter Fair at my son’s daycare center, which is why I was merely running out of red felt (see first picture of this tutorial) and had to improvise. 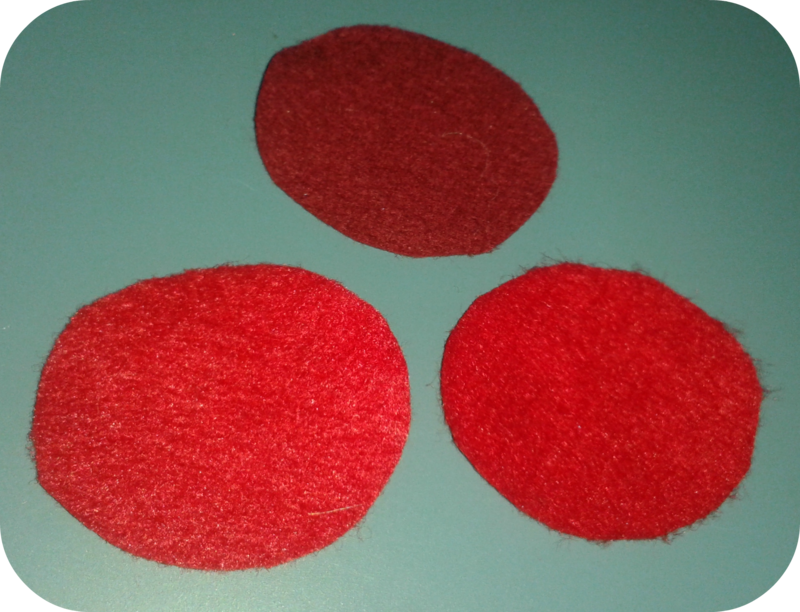 STEP 5: Repeat steps 3 and 4 using wine-red felt, but this time use only the front-piece pattern. 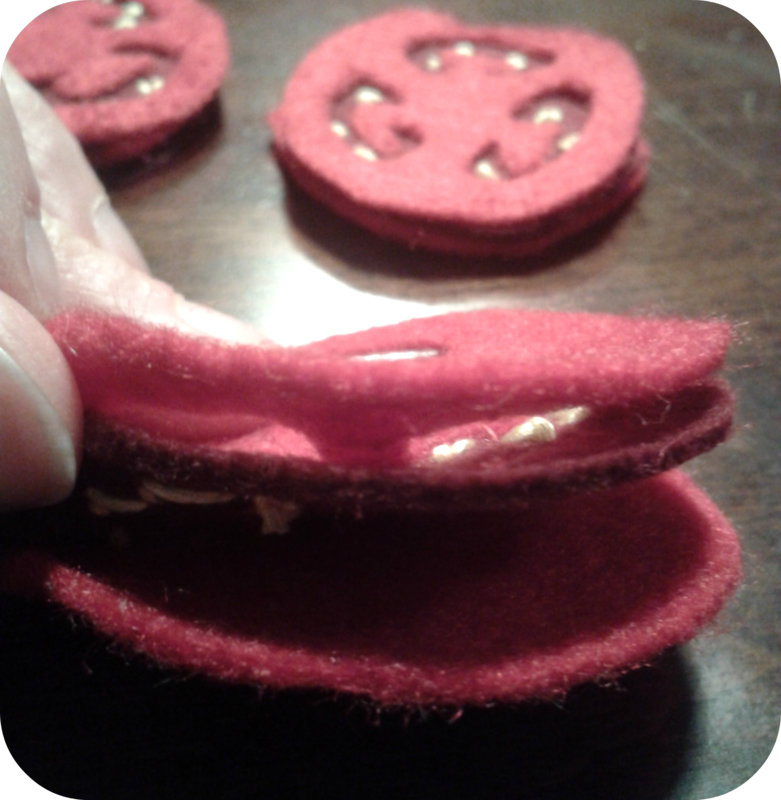 At this point you should have one slice of wine-red felt and two slices of red felt (one bigger than the other). 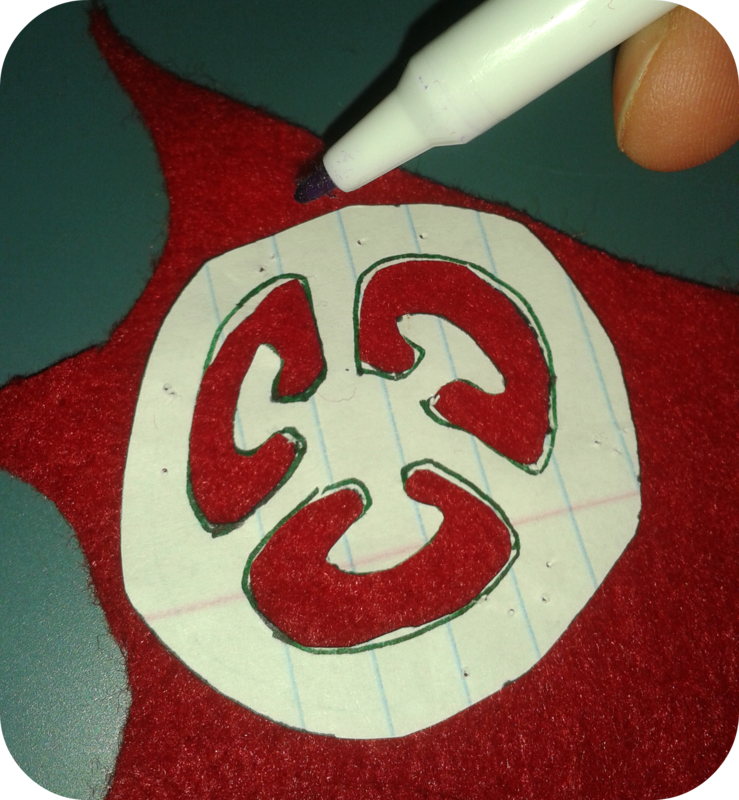 STEP 6: Place the front pattern again onto the red front piece (the smaller one) and trace the details using a magic marker or white tailor’s chalk. Remove the pattern. Your first cut will give quite roughly shaped locules. Give them a second cut in order to smoothen out any edges and nooks. It might help to bring the central part of the fruit flesh forward using a finger as is shown in the second picture below. Here are the five front slices I made as a source of inspiration. You can clearly see that I tried to vary the three locules in each slice. 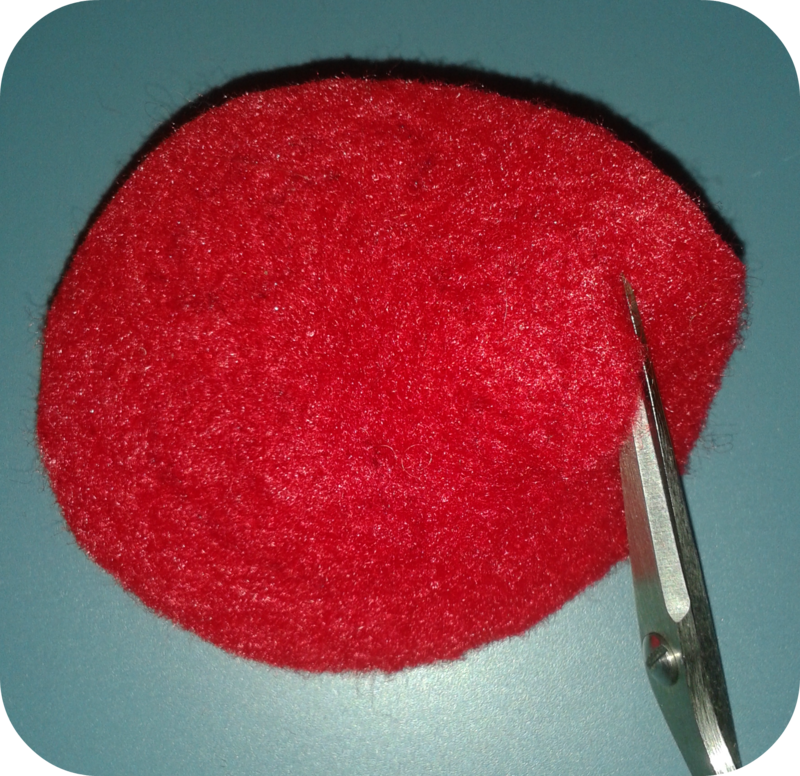 STEP 8: Place the front side on top of the whine-red felt piece. 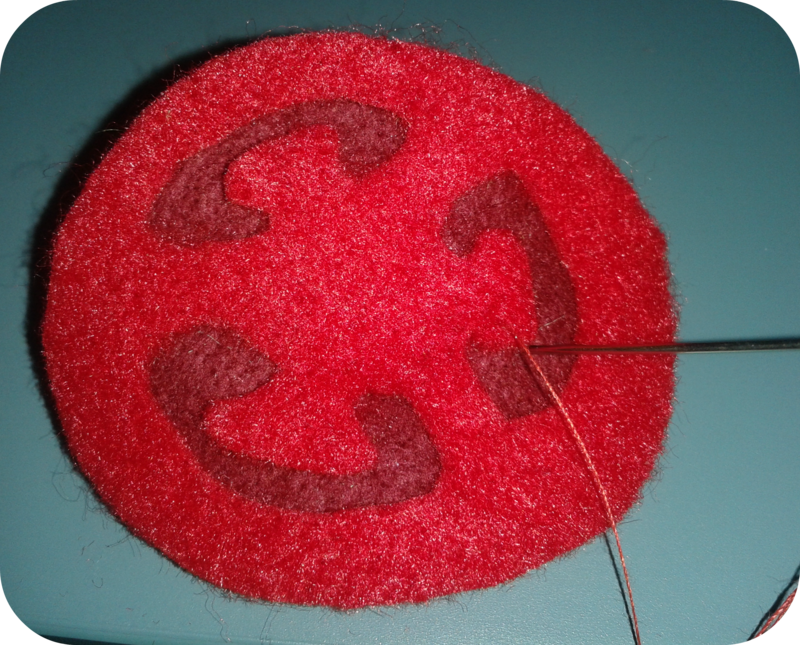 Thread a standard needle with red thread, make a knot, and stitch on each central part of the fruit flesh with about four stitches. In the picture below, this has been done for the upper right locule. Repeat this for the other two locules and you will have something like shown in the picture below. STEP 9: Each locule houses several seeds. I used a lazy daisy stitch that I worked much smaller than it is usually done. 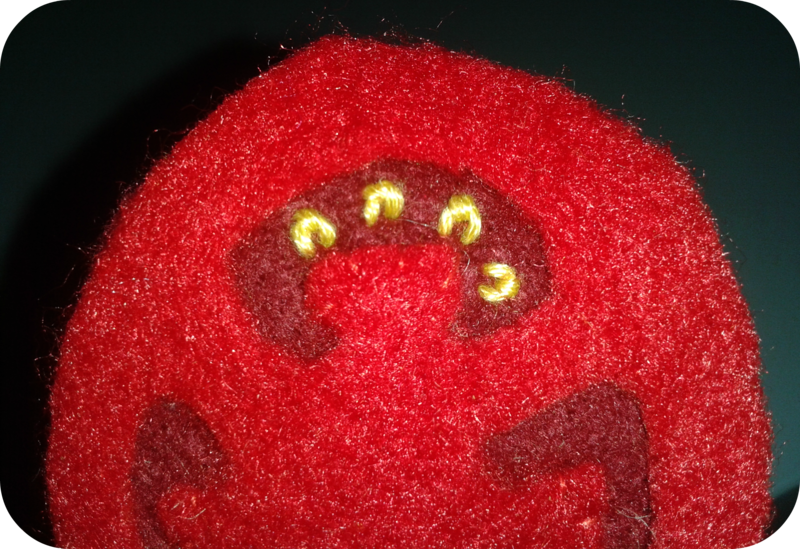 I am describing this stitch step by step in my Lazy Daisy Stitch for Eyes and Seeds post. 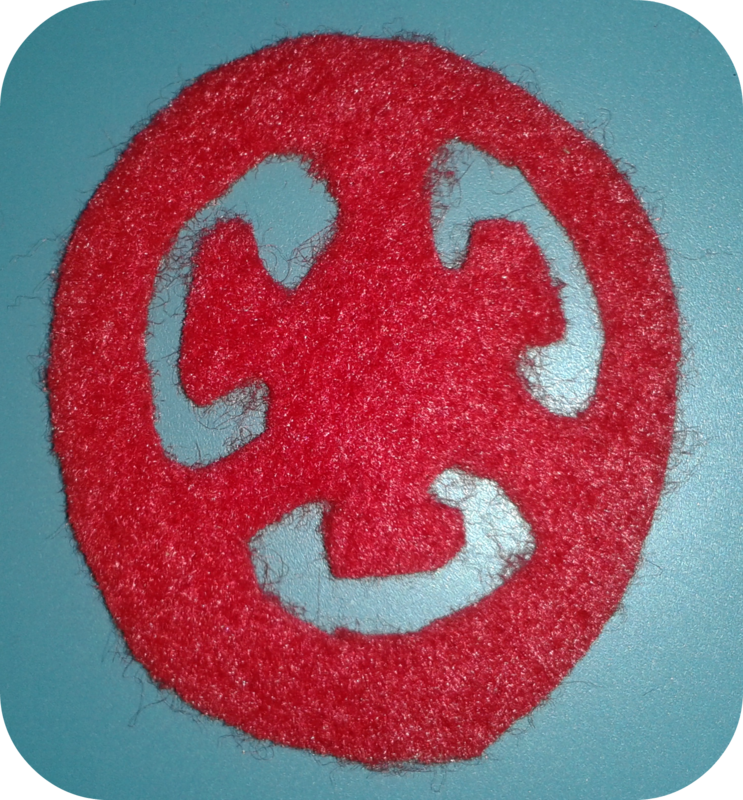 Thread your embroidery needle with some yellow embroidery thread, make and knot, and stitch about four to six seeds per locule. Repeat for the remaining two locules. Fairly pretty, right? 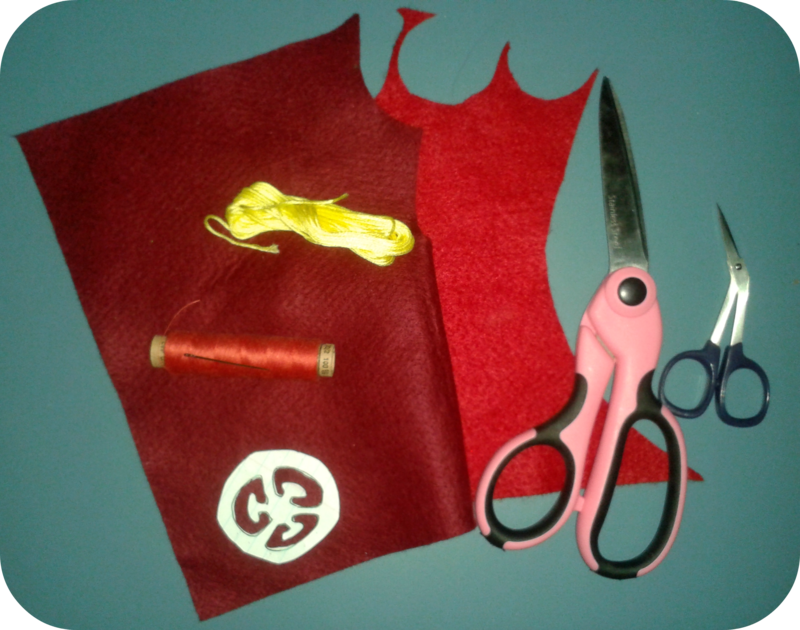 STEP 10: Place the front side (now consisting of two layers) onto the second and bigger back side and sew front and back together using a sewing machine Alternatively, you can sew by hand using a simple running stitch. You will notice that the front piece is more stretchable than the back side as a result of cutting out the locules. This is why I designed the back of the tomato slice bigger than the front. If you are using two sides of identical size, the front protrudes in comparison to the back making it very difficult to sew both pieces together. Trust me, I tried it.. 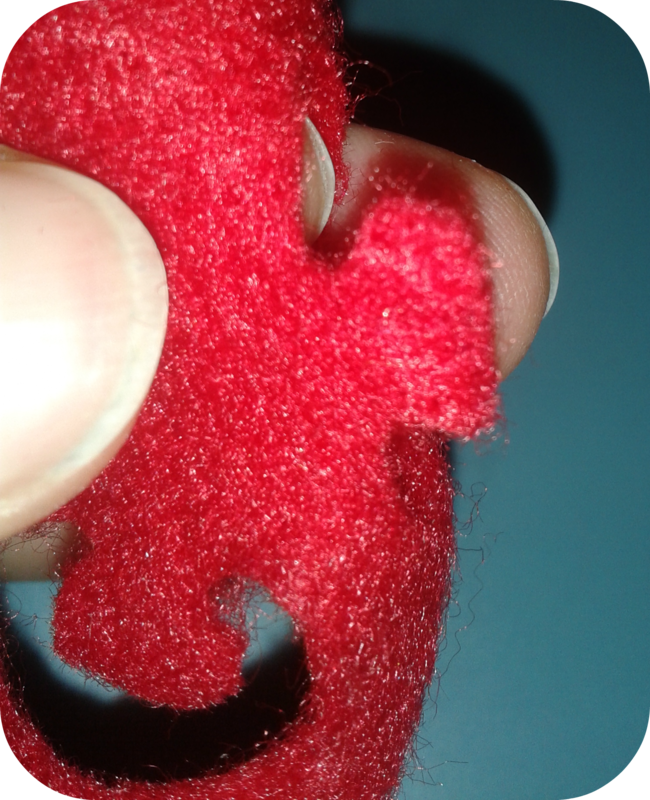 When done with the sewing step, trim off the back side according to the size of the front piece. 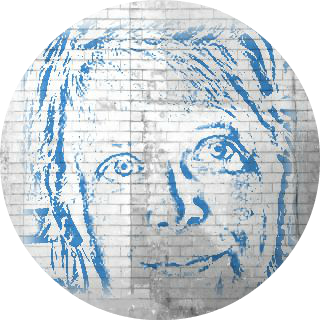 Et voile. You are done! 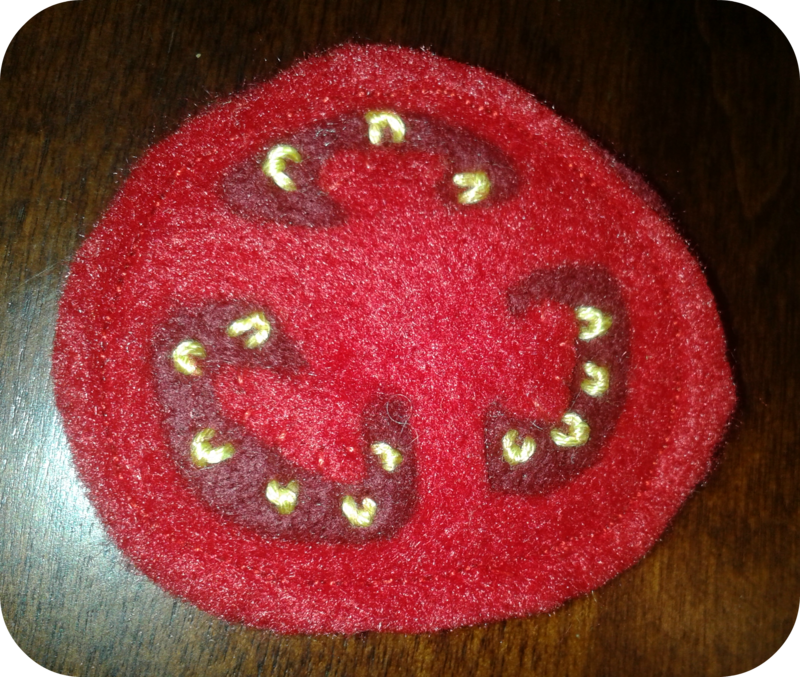 *applause, applause* You have made super-realistic felted tomato slices and I hope you had a lot of fun. 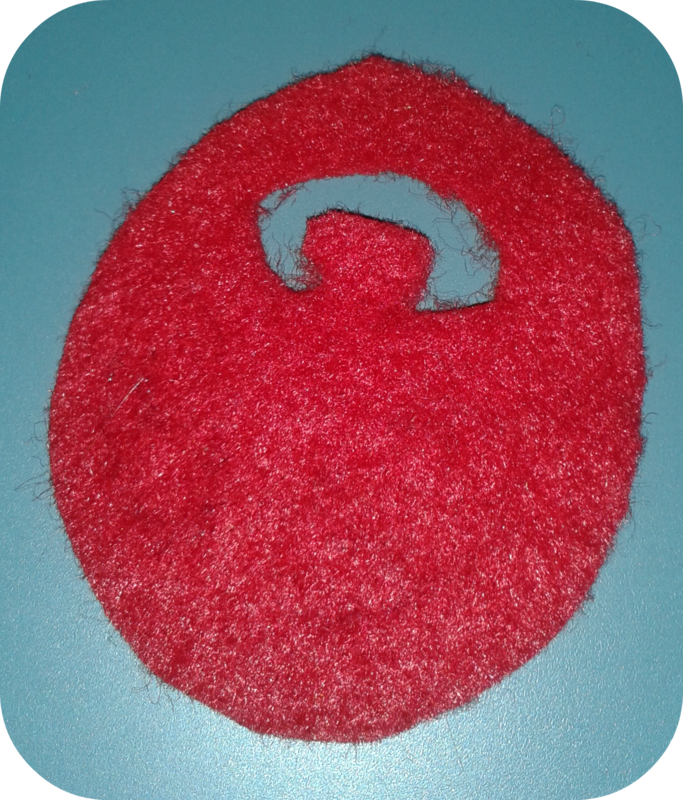 I will publish more felt food tutorials in the future. So please stop by again.